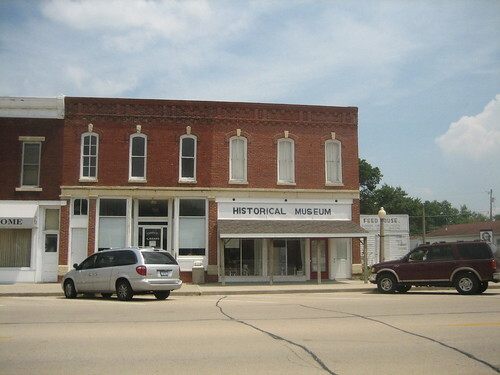 The Main Street Historic District includes 14 remaining structures that are classified as “contributing properties” (a legal term in historic preservation: see wiki – by me). Ten of those are considered “significant” and four are considered “contributing”. Of the buildings within the district, the Reagan family lived in two of them, we will talk about one in depth tomorrow. 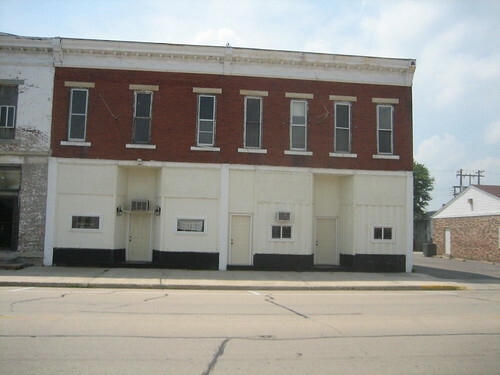 The other is the H.C. Pitney Variety Store Building. The Pitney Store, built in 1900, employed Ronald Reagan’s father Jack from 1911-1914 and again from 1919-1920. The Reagans lived in the apartment on the Pitney Building’s second floor for over a year beginning in August 1919 and ending when they moved to Dixon in December 1920. The contributing buildings all have a uniformity that gives them an architectural harmony. They are all two stories and mostly have matching features, such as matching cornice (wiki) lines. 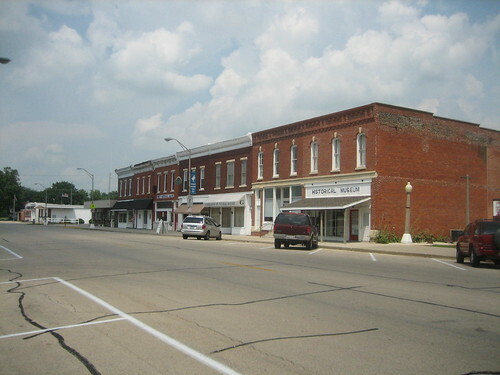 They mostly display a late 19th, early 20th century commercial Italianate style, common in small town downtown districts. 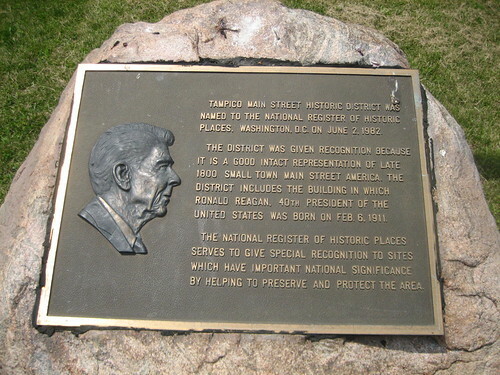 Besides its intimate association with the Reagans the Main Street Historic District in Tampico is an excellent example of a small Midwest downtown business district. You can learn more from the links below, I compiled the Wikipedia entries mostly from the National Register nomination form. Tomorrow is February 6, as such we will take a look at the part of the Main Street Historic District in Tampico where the 40th U.S. President was born. It’s wonderful to see Tampico get recognition. I had to chuckle, since it’s my car in front of the historical building. I am the Family History Coordinator for the Tampico Historical Society. For more details on all of our history, you may wish to view our website: http://www.tampicohistoricalsociety.citymax.com of which I am the webmaster and monitor. There are literally thousands of pages of historical and genealogical information and photos. We cordially invite you to our little corner of the world. Comment on our Message Board, or come visit us during the annual Reagan Birthday Celebration, Feb. 6 for 10-4p.m. Haha. I always wanted to have someone see their car or something on here! I will check out the site, won’t be able to make the celebration but am certain I will make it back out that way once it’s warmer. I also suspect I have visited your site before. :) Thanks for reading and commenting.